There’s something about Odette (aka Georgia Sally Banks). The 21-year-old UK-born, Sydney raised singer-songwriter has been producing electric, effective music since she was 15. 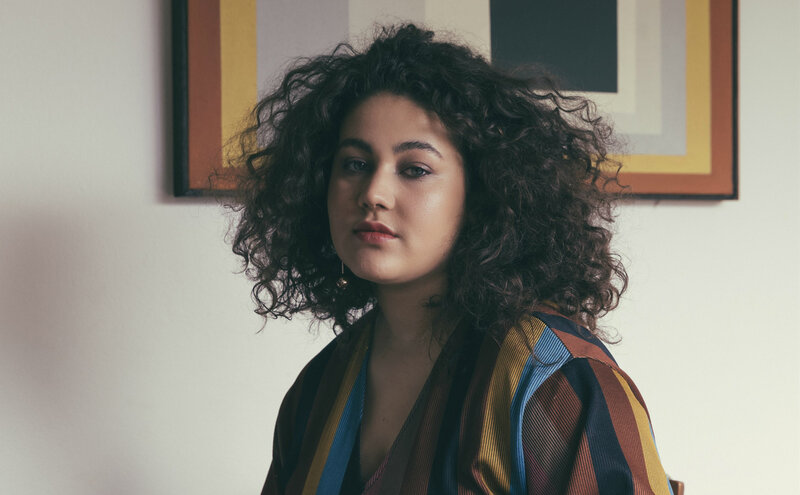 She released a trio of songs via triple j Unearthed in 2014/15 but didn’t break through until the sounds of ‘Watch Me Read You’ tore down her radio barrier. The delicate slice of indie pop teeters in spoken-word poetry and it struck a chord with the country, landing at #56 on triple j’s Hottest 100 of 2017, got her on a swathe of festival lineups and has clocked upwards of 3 million streams on Spotify. But Odette is no one trick pony. Her successive efforts like single ‘Take It To The Heart’, has surpassed the 4 million stream mark and made it’s way to the #1 spot on TMN’s Hot 100 Alternative Chart. And then came the album, To A Stranger. Produced by Grammy-nominated Damian Taylor (Bjork, The Prodigy, The Killers, UNKLE), the LP debuted at #13 on the ARIA Album Chart and garnered the young artist her first ARIA nomination for Breakthrough Artist. We caught up with Odette in the moments before she flew over to London to chat her story and the chapters that are still left unwritten. Congratulations on your ARIA nomination, how does it feel and what did you do when you found out? Thanks so much, it’s a really crazy thing to happen. When they called it all out my team just started yelling and clapping and I was euphoric. After that, I called my friends. Your rise to prominence has been quite extraordinary, what is it like interacting with the Australian music industry? Honestly, I’ve just been blessed to work with some of the most dedicated people there are. People who really just love music. I consider myself to be very lucky, I’ve learnt a lot in how to hold myself in this industry. I’ve grown a lot more confident. When you first put out ‘Watch Me Read You’, what were you expecting the reaction to be and how did the reality make you feel? I wasn’t really expecting anything. I was hoping people would like it because I was really proud of it but yeah I just tried not to think too much about the what ifs. When I heard all the positivity surrounding it I was honestly quite taken aback. I think it made me check myself and my insecurities and my lack of self-confidence. Since the release, I’ve felt more and more like I’m connecting with people and it’s a very intense and wonderful feeling. The infusion of spoken word poetry makes your music so unique and powerful, what’s your relationship with spoken word and why is it important for your music? Can you take us through the process of creating To A Stranger? So I wrote the songs between 2014-2016. I didn’t know it was going to be an album, I hadn’t thought that far ahead. When I went over to the UK in early 2016, I wrote ‘Watch Me Read You’ and ‘Collide’ with Charlie Hugall and it was one of those moments where I really felt excited about what I’d written. I felt excited that I’d clearly said all I had been wanting to say. Damian Taylor, a brilliant mind, produced the record and working with him was challenging at first (in a good way) because I didn’t have the confidence to say what I liked and what I didn’t like. He could tell and in all honesty, he’s taught me a lot about communication and emotional honesty in the studio. Great dude! What were your main inspirations behind the album? I was drawing directly from my own personal experiences at that time. I was in a real dark spot, and to be only eighteen as well, I was very confused about everything. This album is almost like a big stream of consciousness, a snapshot of how I was thinking at the time. What was the experience like of being able to completely being able to immerse yourself in writing and recording? It was wonderful. I really grew as a person and an artist. If you do take out the ARIA, what will you do to celebrate? That would be insanity. I’d probably hang out with my manager and team and celebrate with them and maybe some close friends. Regardless, I would 100% do a victory lap of my backyard when I got home. Like a really over the top dramatic one, where it’s probably raining. Listen to To A Stranger here.